Samantha Reece has an innate passion for property and has been involved in the industry for close to 20 years, initially in community consultation and marketing and in recent times as a property analyst and commentator. Samantha is qualified in Bachelor of Commerce (PR and Marketing) and has been a judge for the Property Council Retail Awards for the past three years. Samantha is also Chair of the Property Council Infill Committee (as a Member of the Residential Committee). 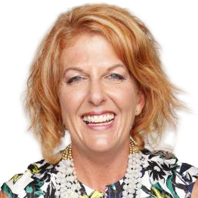 She is currently a member of the UDIA, Property Council WA and Australian Marketing Institute.